In the world of craft beverages, beer seems to get all the attention. 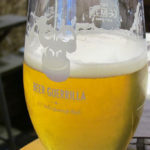 The craft beer craze has changed the perception that beer is a tipple reserved for rowdy lads and is instead a drink suitable for the most discerning of gentlemen. But alas, as beer rose to prominence, cider has not quite enjoyed the same level of stardom. Simply put, if beer is Brad Pitt, then cider is Douglas Pitt – his successful but lesser celebrated brother. In many respects, cider has found itself in the same position that beer did in the nineties and noughties; a choice between mass produced beverages of the big producers and the small batch ciders of the smaller, often family run makers. Often the big boys know how to market their ciders but the quality is not quite there, whilst the smaller craft producers are often able to create delicious ciders but struggle to generate mass market appeal. Fortunately for the good folks of Northamptonshire, there is a craft cider that is ticking all the boxes; let us introduce Saxby’s cider. 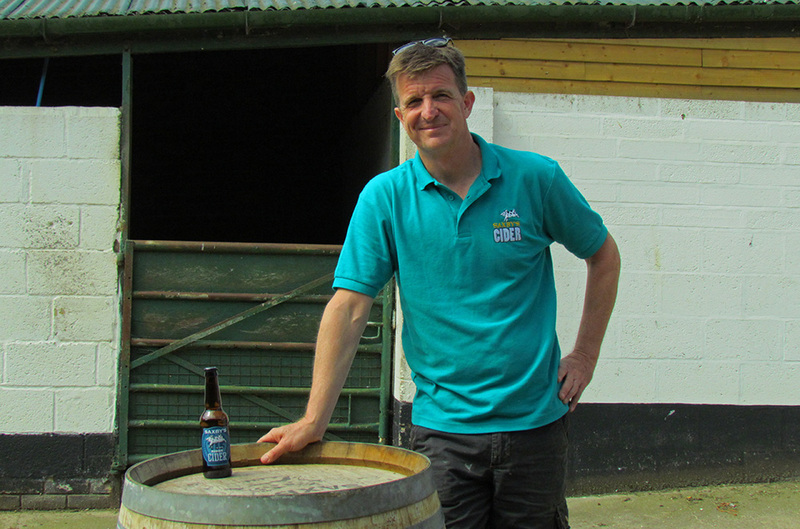 Based in Northamptonshire at the small village of Farndish, Saxby’s is a small, artisan cider producer that was started up by Phillip Saxby on his family farm. Like all great ideas, Phillip was hit by a moment of inspiration when a business asked the farm if they grew apples which they could purchase for juice. Saxby’s started as a creative experiment to break the somewhat monotony of farming and has since gone on to create delicious, award winning cider, bagging the ‘New Local Drink of the Year’ award at the Carlsberg UK Northamptonshire Food & Drink Awards 2015/2016. Now entering their fourth year, the local artisan producers are still fuelled with that same creative spark and experimenting with different a range of different flavours. 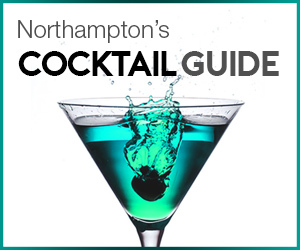 So when we mention cider, minds can inevitably float towards brands like Kopparberg, Magners, Old Mount, Rekoredlig or even Strongbow; which can somewhat distort a gentlemen’s views of associating cider with being extremely fizzy and overly sweet rather than something far more complex in flavour. Fortunately, Saxby’s Cider is locally producing cider that is considerably more special. 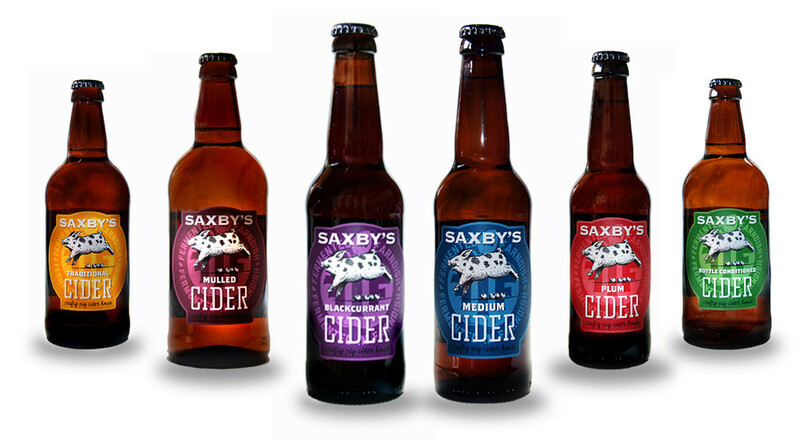 It is said that Saxby’s cider is made with love; however love alone is not enough to create cider. Originally, the family based cidermakers used traditional methods of a rack and cloth to press the ciders but as its popularity increased, the farm bought in a new press to crush and juice the apples to help meet demand. A secret blend of apples are used which gives the cider the right balance between acidity and tannins similar to grapes with wine, and just like good wine, Saxby’s cider reflects the unique character of the season. Phillip told us the apples vary slightly from one year to the next but he believes that this is part of the charm of his cider. He does continuously uses the same blend to try ensure flavour variations are not too drastic from one year to the next. We asked Phillip what it is that makes Saxby’s cider so unique. He explained that the farm does not rush any part of the cider making process, with each year’s harvest being crushed in October and taking about a month to ferment. After this time it is left to mature over the winter and take on some subtle rich flavours, with the bottling taking place in March, after which it is ready for drinking. The Farnish cider experts produce six different cider types, with their crisp and appley Original being the flagship cider. The oak matured Traditional cider has a smooth, honey flavour and packs a deceptive punch at 6.5% whilst the Bottle Conditioned range is cider fermented in the bottle to give it a natural champagne style mousse. There are also a number of fruit flavours, including Saxby’s Plum which has a hint of plum but is very much different to a homogenous alcopop and a bold Blackcurrant flavour that is likely to be one the best cider and black you are likely to have. 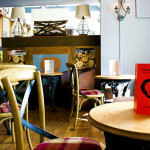 For winter, there is also a Mulled cider which has rich, spicy aromas of cardamom, cinnamon and star anise. Having won ‘New Local Drink of the Year’ in 2015/2016, Saxby’s are continuing the trend of introducing new, exciting flavours. Phillip mentioned a plan to add to the fruit range with cloudy rhubarb using rhubarb juice sourced from the rhubarb triangle in Yorkshire and there is even talk of potential mead in the pipeline, made from local honey bees. He is also experimenting with cider which will come in Champagne bottles and uses the Champenoise method – it is currently fermenting in the Saxby’s barn and will hopefully be around this spring. All in all, it seems that the family farm are going to have a busy year going forward and there will be a lot for cider fans to look out for. It was a great man who once said “I am a cider drinker” – or maybe it was the Wurzels, we forget – and after having a taste of Saxby’s cider, there is a good chance you will be bellowing the same sentiment. The time and effort the family run farm puts into their cider is reflected in the quality and is another shining example of some of the brilliant local producers that reside in Northamptonshire. Fortunately for those residing in county, there are many places supporting the local producer and selling their cider, including Franks Steak & Burger houses, The Smoke Pit, The Hopping Hare, Bar Hygge, St Giles Cheese and many more. Our suggestion is simple gents; when that crafty pig grabs your eye next time you are at the bar, give it a go. We are confident you will not be disappointed.